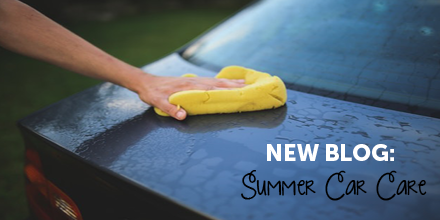 Summer is an important time to take care of your car through regular maintenance tasks. By taking care of your car in the summer, you can prevent mishaps such as engines becoming too hot or air conditioners not running properly. Check out our list below and download our free checklist. There are many maintenance tasks that need to be addressed with the summer months. By adding these tasks to your Summer car care task list, you can make sure your car has a lesser chance of breaking down. Not only should this maintenance be performed for everyday cars, but if you are planning a Summer road trip, it is more important to check and complete the different tasks. On top of these tasks, it might be a good idea to consider adding a safety kit and first aid kit to your vehicle. Download our FREE First Aid Kit & Safety Kit Checklist today to get started. You never know when you might have an emergency so it is better to be safe and prepared.